Thabo Sefolosha is set to sue the NYPD for a reported $50 million after he had his leg broken by a blow from an officers night stick. A short time after player Chris Copeland was stabbed outside the club, Sefolosha was arrested by a group of NYPD officers for not moving along. 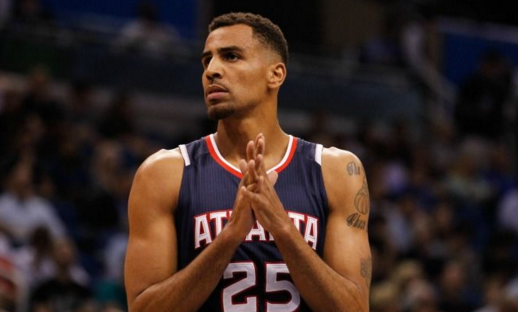 After being acquitted of three charges, Sefolosha has set his sights on focusing on the Hawks, and getting his story out. The Hawks wing sat down with GQ Magazine for their December 2015 issue, and detailed the entire incident for them in his own words. Sefolosha speaks about how one officer in particular seemed to bully him during the incident, all because he wanted to give a homeless man $20. I was just getting into a livery cab—one of the cops opened the door and said, “Get out of here”—when a homeless man asked me for money. I took out twenty bucks. When I made a few steps toward the guy, an officer said, “You’re going to jail.” Pero tapped the officer on the shoulder and said, “Relax, he didn’t do anything.” Another officer pushed him in the chest and he fell. That’s what the first YouTube video showed—him on the floor. More officers started grabbing me. I was trying to put the money back in my pocket. Usually I don’t carry that much, but I had six or seven hundred dollars in my hand. One officer pulled me from my right arm, another grabbed me on my left, and another grabbed me on the back of my neck. I’m in, like, an on-a-cross type of position. I couldn’t even move. It was just chaos. I had never been arrested before. I understood a little bit late that they were trying to put me on the ground, but if somebody grabs your arms and pulls you on your neck, you fall face first. Somebody kicked my leg, more than once, from the back to force me to the ground. I knew something had happened as soon as they did it; I’m an athlete, so I know how my body should feel. They were stepping on my foot, too, I guess to try to keep me there. I didn’t feel like there was anything I could do to calm it down. I tried to show them I was cooperating. I tried.